They just help me. They help me bathe, clean my room, wash my bed sheets, and help with things I can't do. I have already told people about them. I like the way the girls take care of me. They assist with ADLs. I like that I can call them anytime and they will respond to me. I feel so great every day because somebody will help me with my household chores and everything. You really can rely on them. They do an excellent job. They're there to watch over me, like when I take a shower. I only had one problem with them, but they got on it and fixed it. They're a good provider. She became very good friends with a lot of the caregivers. They are courteous, on time, and they give good care. I feel an ease of mind knowing she is being taken care of and watched over very well. I like the personal attention my mom receives from the caregiver. I am very happy with them and we are elderly and we don't drive anymore, so it is nice to have a company nearby and help us when we need help. They have been very helpful because we are not allowed to drive anymore so for us, it is very convenient to call them when we want to go places and they have been there for us. It helped by releasing stress. I would say that the staff was friendly. If I need any help, they will help me get out of bed, or they help me up. They are always on time, and they do what they are told. They have made my life a lot easier. They do everything very well, and it's tranquil with them here. Everything is done very well. They have helped the most by giving me time to do what I need to do. I would tell a friend that they are very competent. They take me to the doctor's or to the hospital. They also clean my house for me. The girl that I have is very friendly and wonderful. They helped the most by being flexible with my schedule. They were very accommodating to my needs and schedule. They check in on her and help her with her showers. They give her a little company. They have been very responsive to any changes made and haven't missed any days. They made my loved one's life very comfortable. They were necessary for them to live alone because I didn't have the time to do it. The company did fine but some of the employees weren't as good as they should have been. It just made things easier for me, it freed up some of my time. They're just very caring people. They would make my bed and make sure everything was done before they left. They would have someone come and substitute if the caregiver couldn't make it. They help me. They walk my dog and do my dishes. They always send me a caregiver, even if my original can't come. They will call me and tell me the name of the substitute. They will inform me ahead of time when a caregiver can't come in. They help me by providing a caregiver that is willing to do what needs to be done. They were willing to provide different caregivers until we found the perfect fit. They have been responsive to various concerns, like payment and time schedules. I haven't seen much of a difference. They haven't done anything really great for me. I like that the girl that comes is punctual. She was very happy to be able to have a selection of places to go to, as well as my siblings who went to the different places. It was new to all of us and we were grateful. We had a great person who gave us a whole lot of information and the number of a place that we could visit and evaluate. They make suggestions of what they could do for us and ask questions of what our needs are. They provide quality care through their know-how of caring for us. The folks on the phone are easy to deal with. The billing system is easy. We've had three separate caregivers, and all three are very attentive and interested in the well-being of my dad. They help him out of bed, bathe him, and brush his teeth. They are really terrific with him, and they don't embarrass him. They're really sensitive to his psyche, and it's super helpful for us. Right at Home has provided really nice caregivers. I would recommend them to others because I can depend on them. I depend on them daily and they are very understanding. I have had a very positive experience. The caregivers are very good, caring, personable, and willing to do whatever is needed. A caregiver from Right at Home will come if we are in a bind, and they are very helpful. The caregivers always do what we need and more. I tell my friends about Right at Home all the time. I tell them that I always get nice caregivers from Right at Home. The caregivers are very helpful for me, and I have only had one or two caregivers who have not been very helpful. The service has been excellent. They have made my life better by providing the care that I need. I would recommend Right at Home because of the very quality service that I get from them. I'm enjoying the service, but I could get along without it. I'm an elderly man and I do everything for myself except for the cooking. That is the only service that I am receiving, so I am getting a more balanced diet than I was by myself. There are some communication issues with Right at Home. I would recommend them because of the caregivers. We have had shifts that were not covered, and we have not been told about times that we exceed our hours. That has caused us some issues. Right at Home got back to me right away and was very welcoming. I couldn't take care of myself so the caregivers helped me eat, clean up, and get better. Right at Home is very convenient and reliable. The service makes it so it takes less effort from me to do things. My caregiver was perfect and did everything for me. Right at Home helped me when I took baths. They also made my bed and took me to the store when I needed them to. 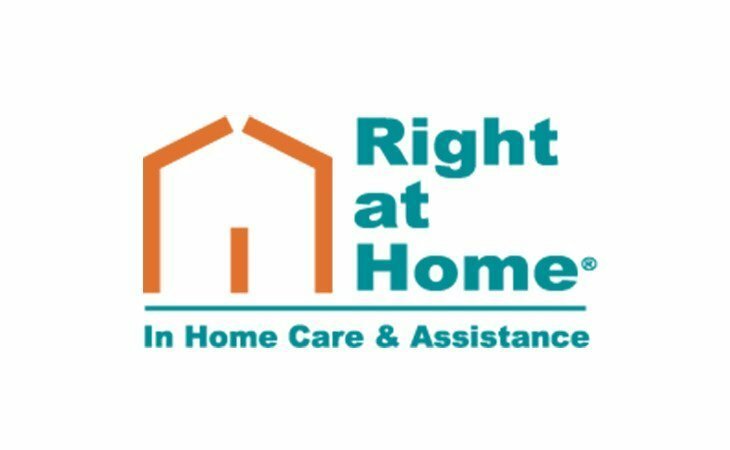 What should caregivers and potential clients know about Right at Home Inland Valley?